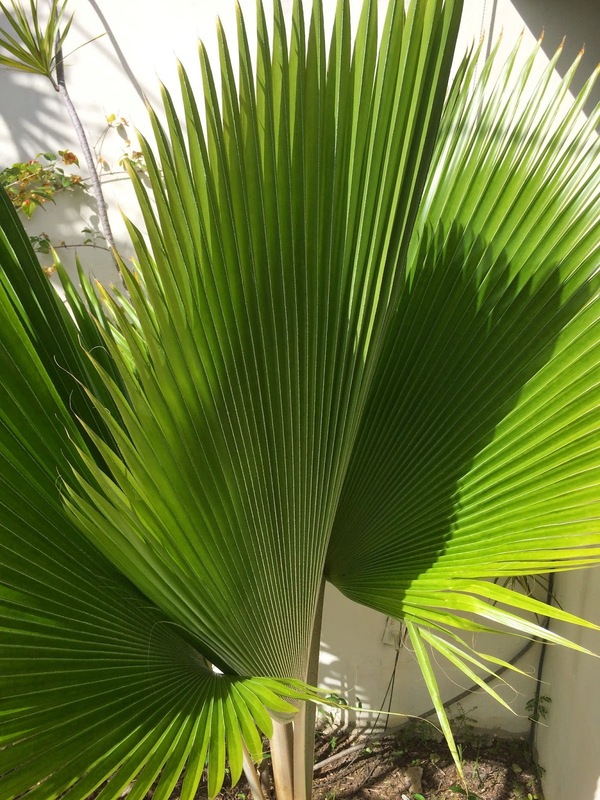 I love these palm fronds, they make such a nice swishing sound in the wind, and the shadows and light created fantastic designs. 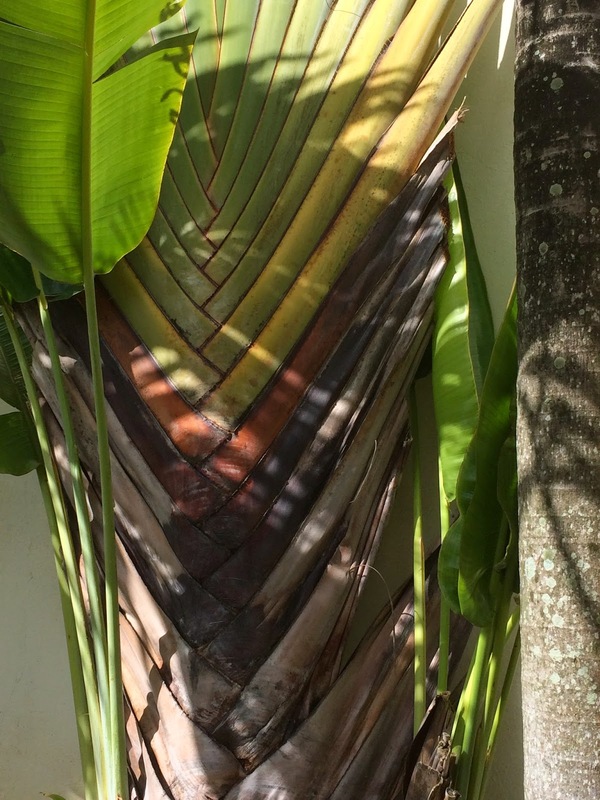 The base of this palm tree is just like the "french braid quilts" that many have made. Do you think this was the original inspiration?! The pearlescent character and shades of white to gray of this fish were more interesting to me than the fact that it would become someone's dinner! I don't know the name of the fish, the fisherman might have told me it was a tuna but I'm not sure we understood each other's language! 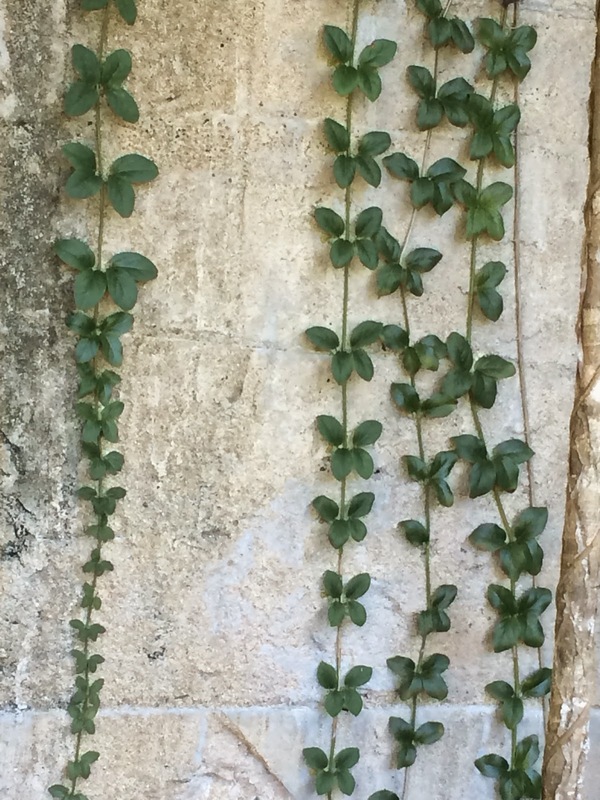 This vine looked like little butterflies on a string! And I like the dark green against the cement wall. Beautiful! Would like to put these colors together in fabric. 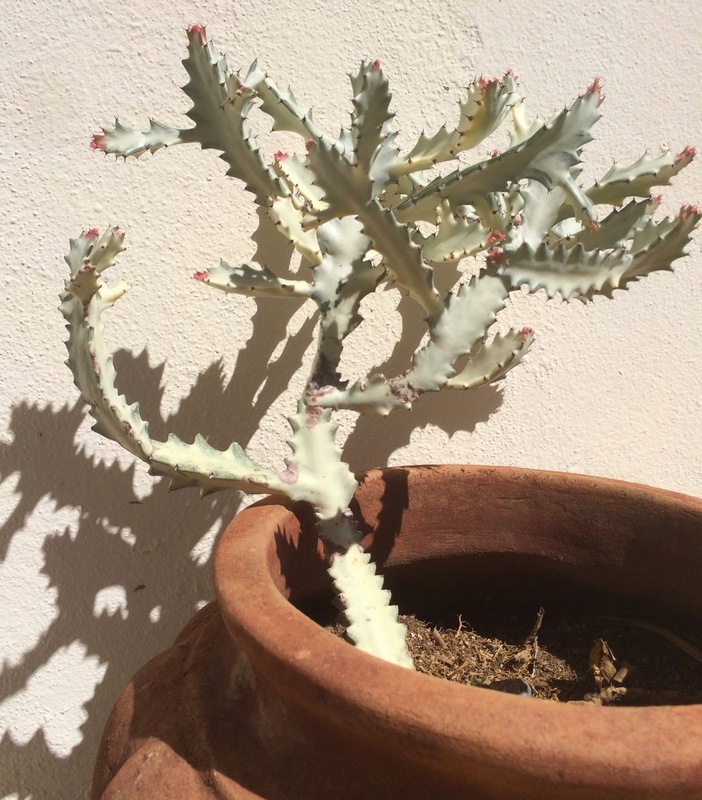 This cactus caught my eye because it the color of the branches was so pretty against the stucco wall and the clay pot. And those little red tips will become flowers, I think. 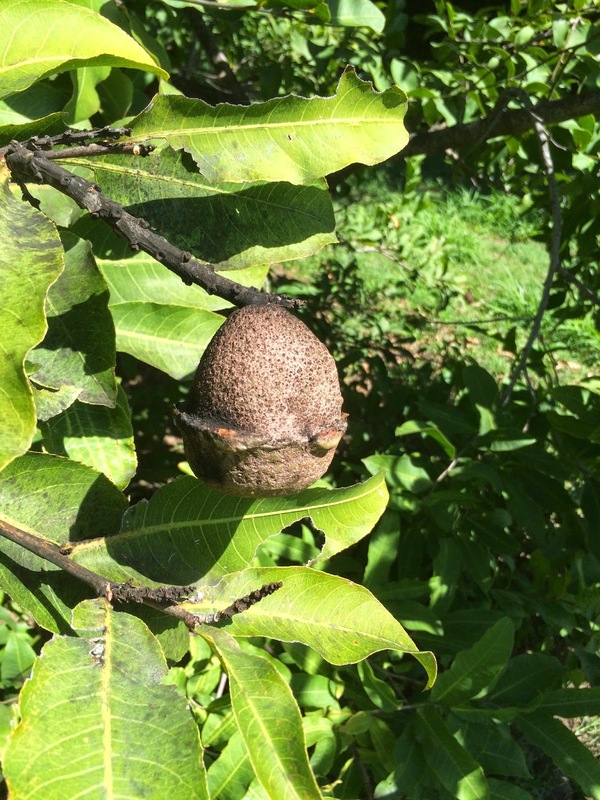 This oddity was growing on a tree in the yard of the house we rented, but I couldn't find anyone who knew what it was. Hard as a rock, about 4" high, and ridged around the circumference. Such a strange shape, almost alien! Do you know what it is? 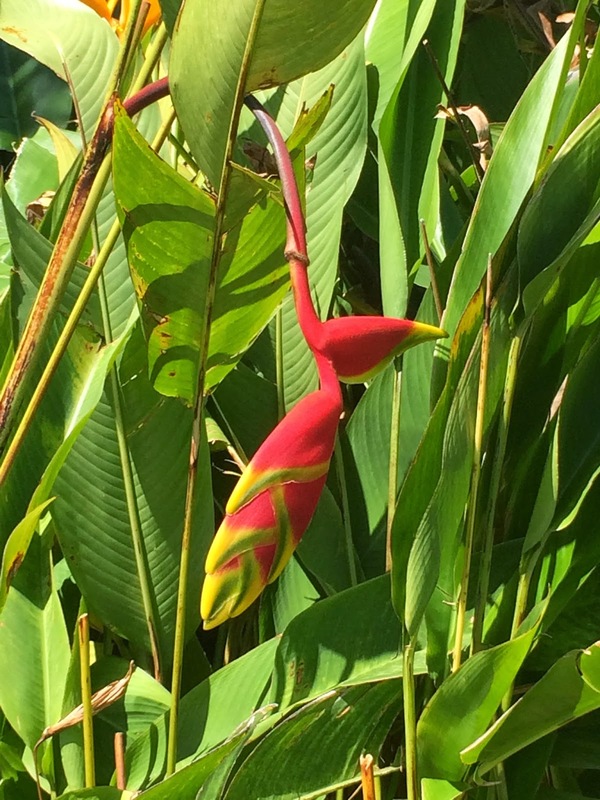 The buds of a bird of paradise flower are such a beautiful color against the greenery. And it did feel like paradise! I stopped to talk a little with this beautiful lady who was selling jewelry on the sidewalk in Esperanza. She was making pillowcases, and using some metallic floss for part of it. She was frustrated with the twisting and knotting of that floss, and that's a feeling that is shared worldwide! 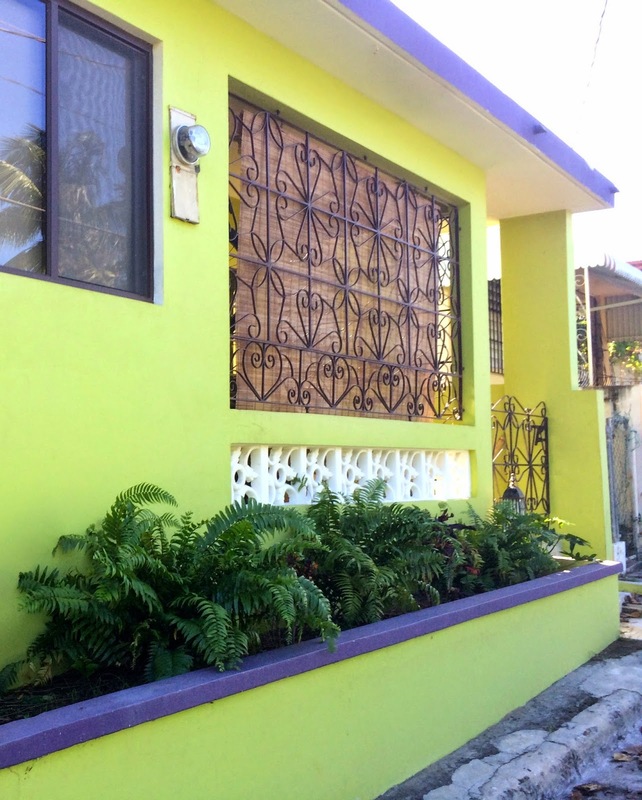 These color choices look great for a house in Vieques, but what would the neighbors say in Minneapolis?! Our house colors are so boring! This isn't actually a color or design feature. But one thing we find as we travel to different places is the signs with little people doing funny things. 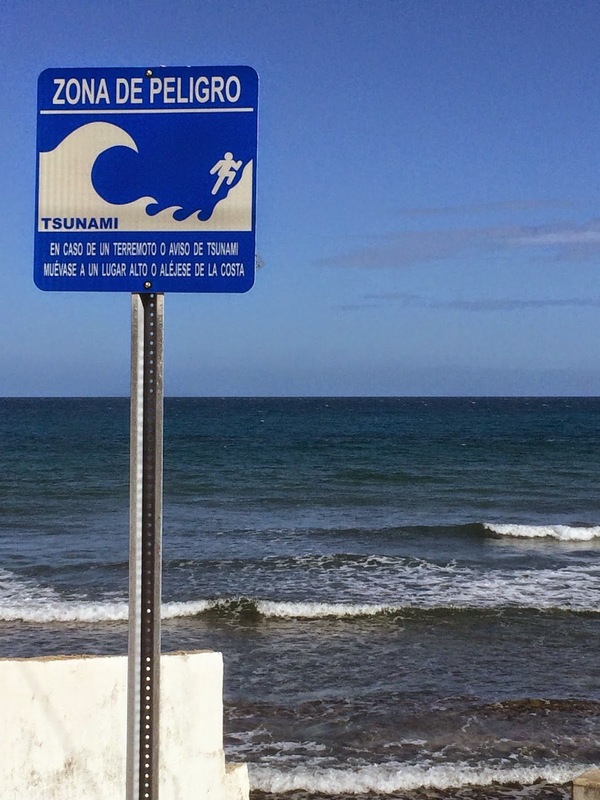 This little guy is running up the hill away from the tsunami wave. I hope he runs fast! 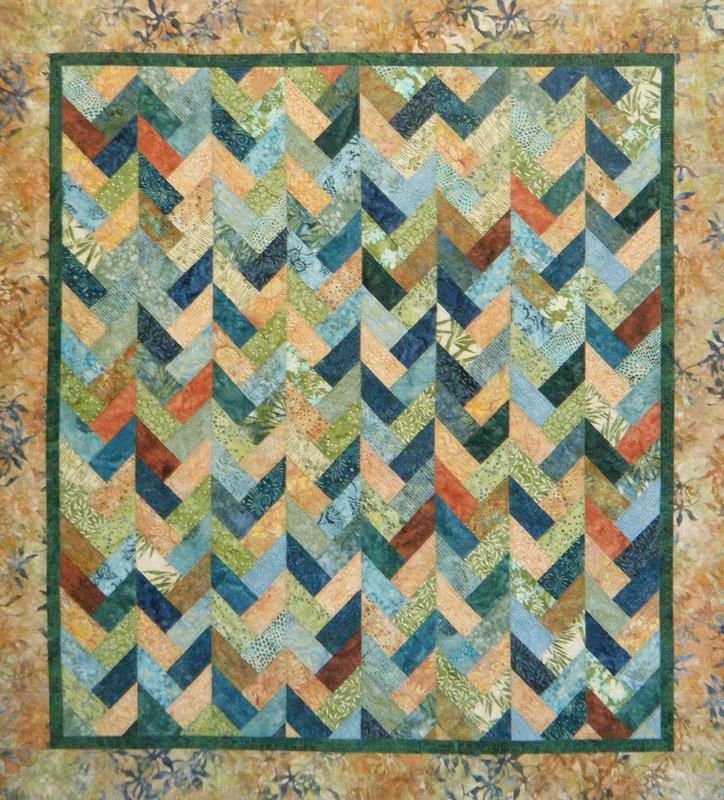 Maybe you can find some inspiration for a quilt project here! And if you want to visit this great little island, just fly to San Juan, Puerto Rico, and then go east to the next island and there you are! You have really found some great inspiration, Pam. I'm always doing that when I travel, too. 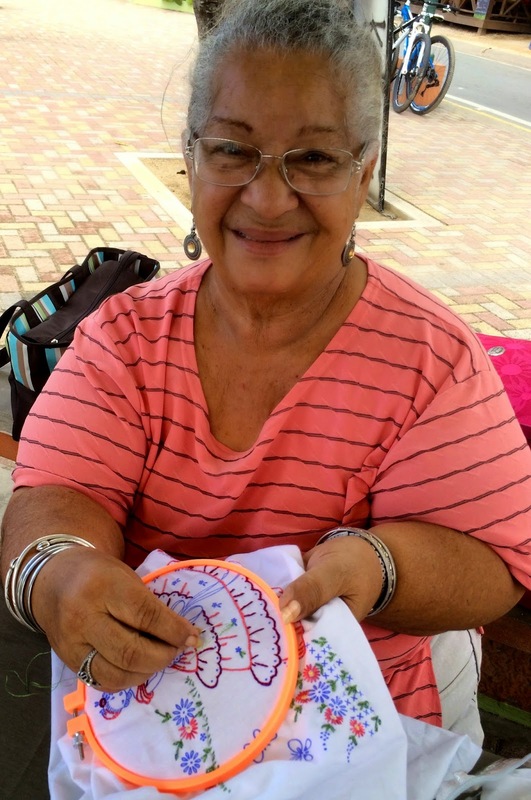 We look at things differently once we start quilting, don't you think!?! I especially liked the butterflies on a string. It would make a great fabric design.